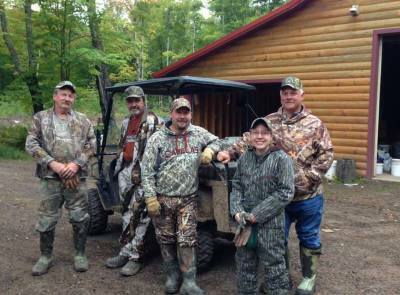 2013- ROY THORSON: Our very first Dream Hunt! Roy and his Dad were taken out to the hunting ramp in the bucket of a tractor and shot his bear by blowing a through a tube. At his young age of 11, Roy’s spunky attitude and determination amazed us all and inspired us to make this an annual event. 2014- LINDSEY SHERFIELD: Lindsey, age 17, was diagnosed with spina bifida at birth. We all fell in love with this little spitfire the moment we met. 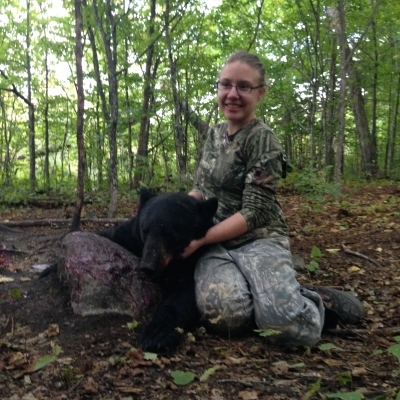 Lindsey’s love of the outdoors and calm demeanor helped her to take down this 150 pounder with a single shot. Russ Schneveis generously donated his tag. 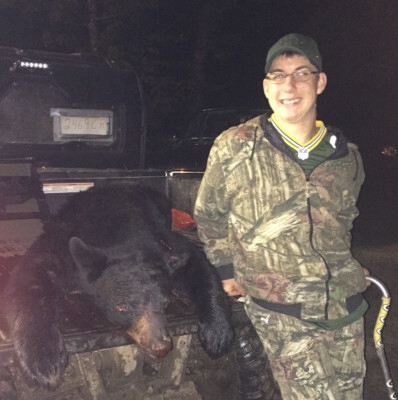 2015-HUNTER Hill: It was all smiles for Hunter when he shot his 192 lb bear on his 3rd night out. We quickly learned that this young 15 year old, who was diagnosed with cerebral palsy early on in life, had a zest for life and strong desire to overcome his disabilities in all aspects of his life. The bear tag donated by Brain Krontedt. 2016-TONY BALZ: Tony, a disabled veteren out of Straford, WI., and with the help of many in the community was able to harvest this 452+ pound big boy. Tony was our first disabled vertern, and being able to provide this to a man who gave so much for us all, made everyone feel special. 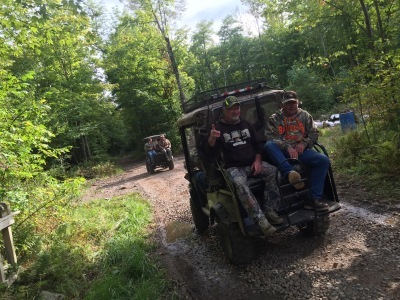 2017 –RON KUSIAK: Ron was paralyzed chest down when he fell from his tree stand while bear hunting 10 years ago. 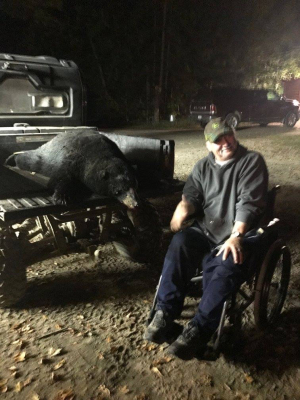 On his 2nd night out, Ron shot his 255 lb bear. This kill was bitter sweet for all. Tag was donated by Charles Kwiatkowski. Looking forward to meeting our next hunter!